The Galaxies started in Vermillion, SD in 1963 and consisted of four high school students. Members were Bob Ellison, Terry Ramey, Willie Ernst, Roger Purcell, and Howard Ernst. 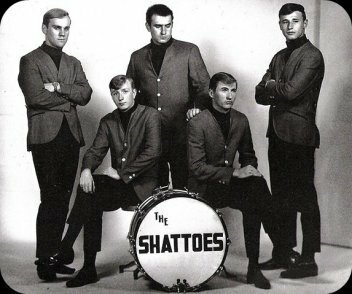 They soon changed their name to The Shattoes. They played through out the tri-state area and opened for many national acts, including the Beach Boys. In 1964 they cut a 45 in the Twin Cities called "Surf Fever" which became extremely popular and received extensive airplay. Later in the sixties they changed their name to The Chateaux Band and continued to have sold out shows until finally disbanding in 1977.